Ghouls Rule Dolls. . Wallpaper and background images in the Monster High club tagged: monster high clawdeen cleo frankie draculara ghouls rule 2012. 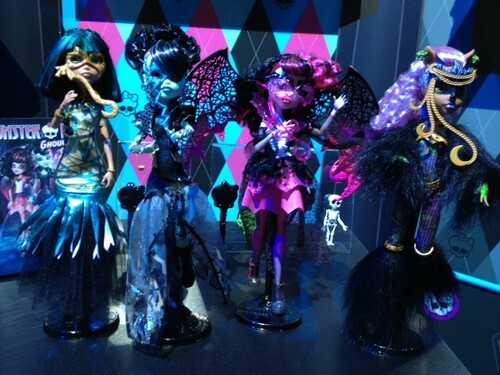 This Monster High photo might contain bouquet, corsage, posy, and nosegay. Clawdeen's outfit is crazy!! (In a good way)They should of made it a skirt and put less fur. I have to buy the others it my be over the top but its cool!! I like Cleo's and Frankie's! I love frankies makeup and hair! !